Winter is coming to an end for many of us and the first signs of spring are everywhere. Growing pansies is a good way to bridge the change of seasons with one plant. They love the cool weather and are readily available at garden centers right now. The botanical name for the garden pansy plant is Viola tricolor. The mature size of a plant is about 4 to 8 inches tall, and about 8 to 12 inches wide. The plant is native to Europe and eastern Asia. 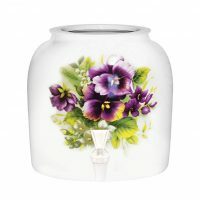 The name pansy comes from the French word pensée. One of my readers Alice H tells me that the flower is considered a symbol of remembrance. Generally speaking, pansies are very easy to grow. They are one of the most popular annuals and most people can recognize them by name. 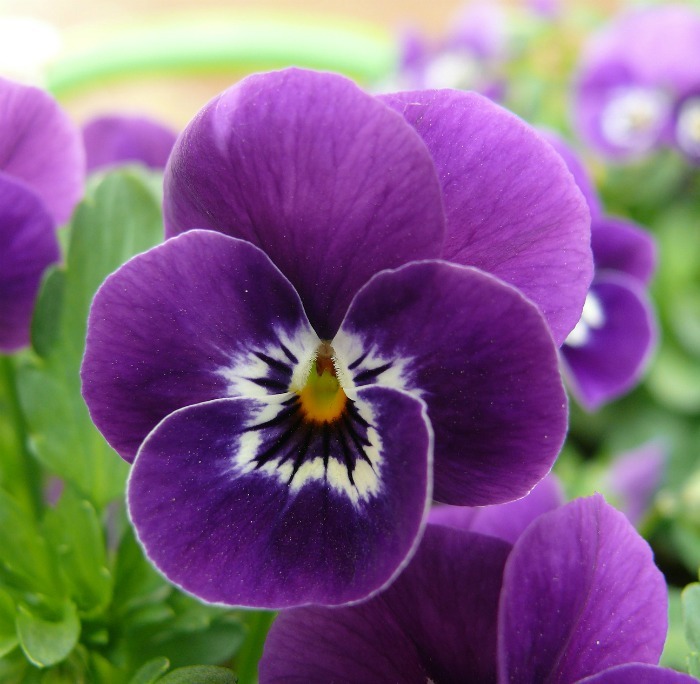 Gardeners know pansies as bi-colored, heart shaped flowers with a marking like a face in the center of the flower. 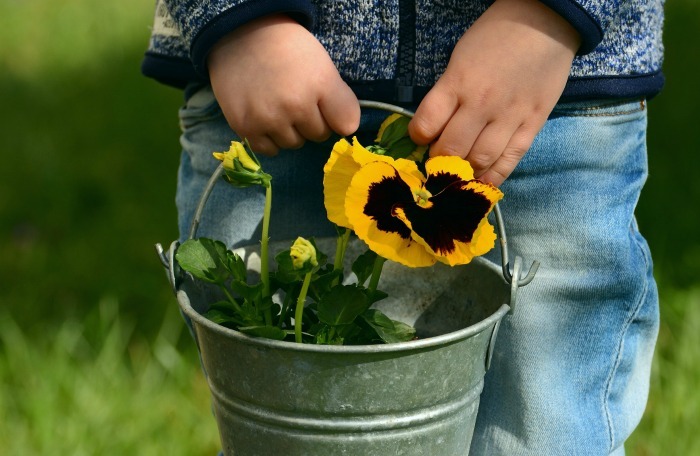 These tips for how to grow and care for pansy flowers will help with keeping your plants blooming longer as you wait for some other spring blooming plants to grow. Do Pansies Need Full Sun or Shade? The answer to this question depends on your hardiness zone. Normally, pansies like full sun (at least 4-6 hours a day,) but they can also grow in partial shade in some areas. Shade is particularly beneficial if the plants are grown in zones warmer than zone 7. Placing them in partial shade will give them a break from the hot afternoon sun which can be strong even earlier in the spring months. Too much sunlight will make the pansies stop producing flowers. 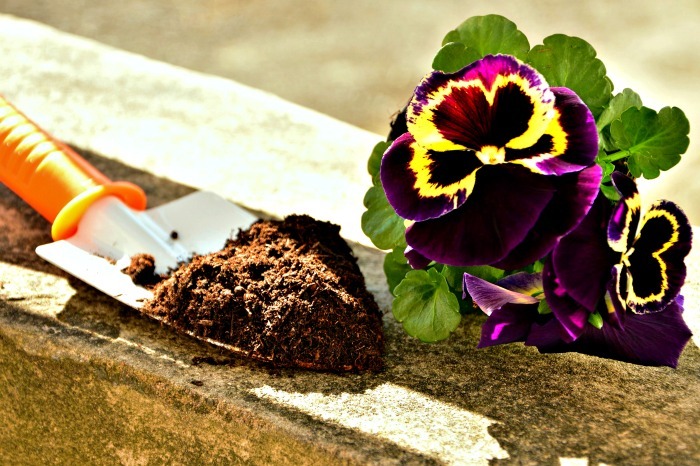 What type of soil do pansies need? 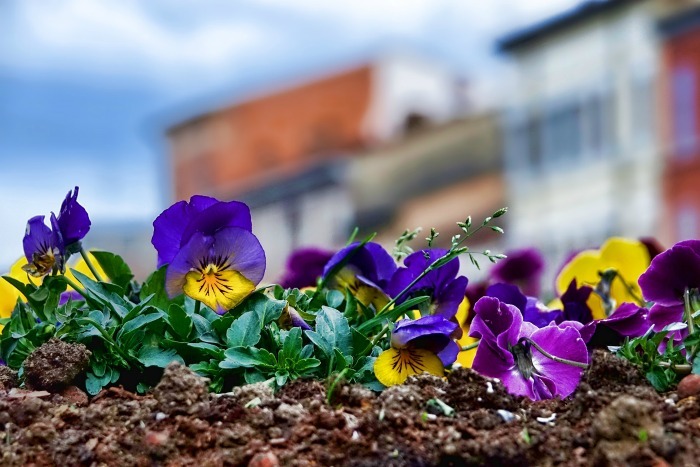 Pansies love a fertile, moist soil that drains well. Add some compost or other form of organic matter at planting time. 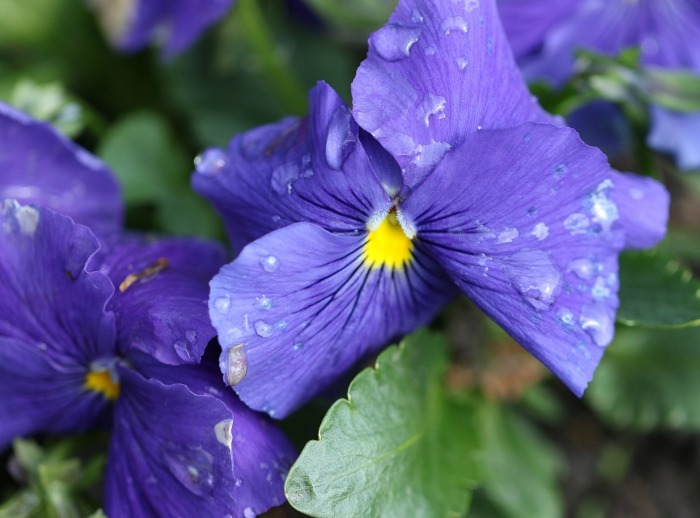 If you plant pansies in the fall, the rainfall in winter will be more than enough to satisfy their needs. If you get periods where you have no rainfall for quite some time, it’s necessary to water to keep the soil lightly moist. If you don’t compost, you can add a granular fertilizer in the top 4-6 inches of soil when you plant. A general all purpose fertilizer works well. Too much fertilizer will make the plants leggy, requiring more pruning. Given the proper care, and correct planting times, pansies will bloom in the fall and then again in the following spring in moderate zones. Most pansies remain evergreen in the winter but the plant will not flower then. There are some winter blooming varieties of pansies that will continue to flower all winter long. 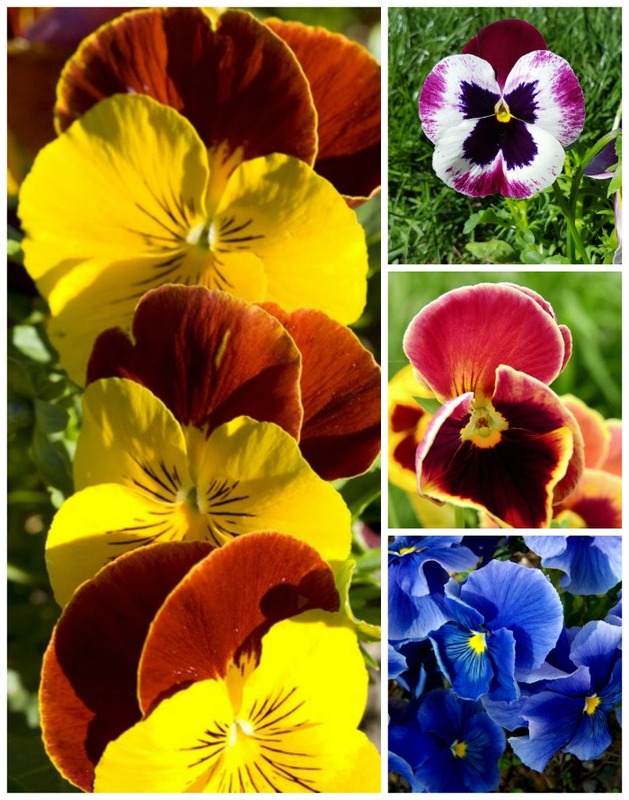 Pansy flowers come in all sorts of colors from white, yellow, purple, through to my favorite – blue. Many have coloration in the center that often looks like a face. Traditionally, pansies will bloom in spring to early summer and some will repeat bloom again in the fall. Pansies really do not like the heat at all, and you will find that they will start to decline as the days begin to really warm up. To keep pansies blooming as long as possible, it’s necessary to deadhead them. Deadheading is the process of removing any faded blooms. Just use your finger tips or some scissors to cut off the blooms that are fading or are past their best. Cut off the blossom stem just above the first sets of leaves. Don’t like deadheading? Check out this post for a list of plants that don’t need deadheading. Since pansies perform best in the cooler months, it is normal to plant them in the late fall or very early spring. Be careful of timing, though, if you plant in the fall. 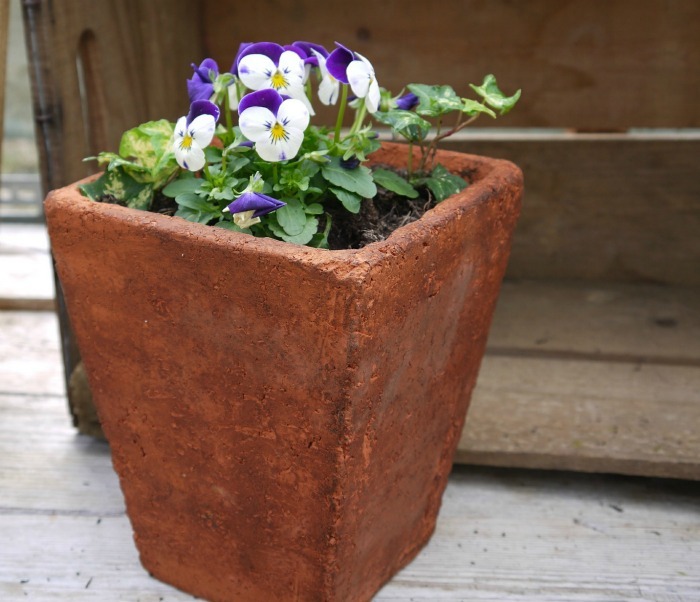 Don’t wait until it is too cold before you plant pansies. 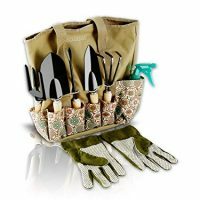 Get them in the ground before the coldest months arrive. This will allow the roots to spread and the plants to get well established before the weather turns really cold. For most gardens, other than the warmest zones, early spring is a great time to plant pansies. Pansies are one of the few flowering plants that can really take some cold weather, so they are useful as a plant to give color when nothing much else is growing. Plant it around the base of flowering spring bulbs or as a border plant. It’s very pretty grown in groups with several plant of one shade for a large splash of color. Use large patches of them of one color, alternating with another color pansy for a striking look. 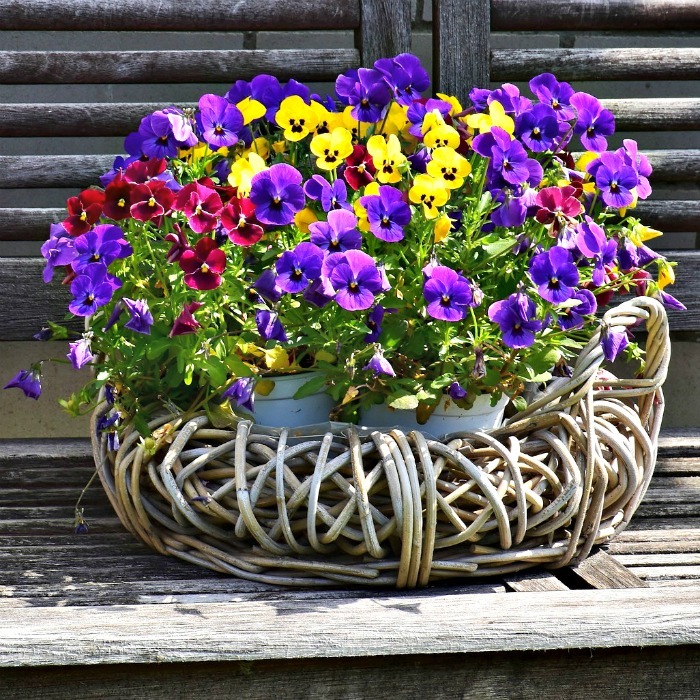 Garden pots, window boxes, and handing baskets all look lovely when planted with pansies. The plant attracts butterflies and bees and looks wonderful as a border plant around a whole garden bed. Both the leaves and the flowers of pansies are edible and can be used to make syrups or used as a plate garnish or in salads. Will my pansies come back year after year? 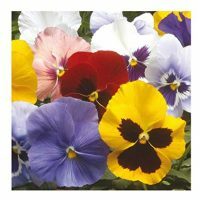 A common question that I get asked is “Are Pansies annuals or perennials?” Once again, the answer depends on your zone. Pansies grow differently from zone to zone. Annual plants are those that grow and flower for only one season and perennials are those that come back each year when planted. Depending on where you live, and the type of pansy that you plant, it can behave like an annual, a perennial (giving two years of bloom like a foxglove does) or a perennial. In their natural habitats, pansies are biennials. The first year, they will grow leaves and the second year, you will see the flowers. Biennial pansies might not survive Midwest winters or hot Southern summers. Even in zones where they can technically be grown as perennials, they are short lived and many tend to deteriorate after their first year of bloom. On the West Coast, in warm areas like Southern California, biennial pansies can survive all year long, with new plants returning the following season to flower and finish out their growing cycle. 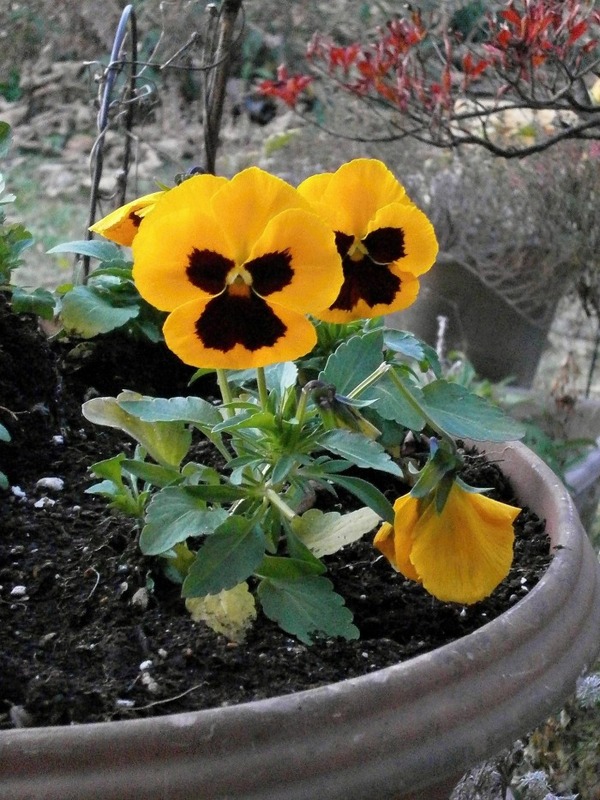 Pansies are winter hardy in zones 4 – 8. The plant can take a light freeze and some short periods of snow cover, but you have a more prolonged period of winter snow, they won’t over winter without dry mulch over the top of them. In zones 9-11, pansies will bloom in the winter and are usually planted in the fall. 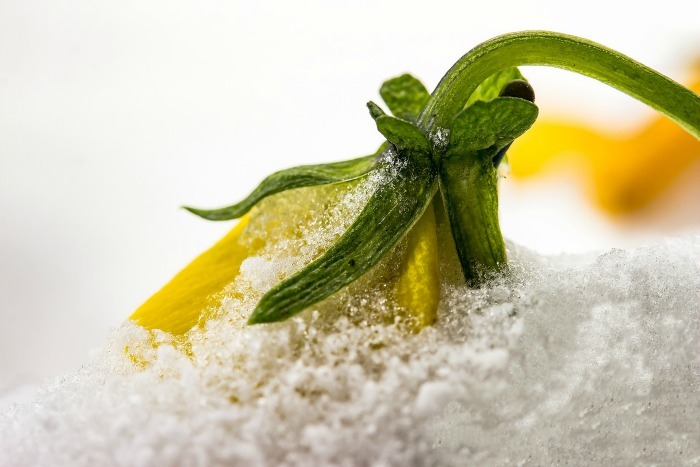 Pansies can take winter temperatures down to about 26 degrees Fahrenheit. Pansies need insects for pollination in order to produce seeds. If you allow seed heads to develop on your plants, they will self seed in the garden and you may get new pansy seedlings. However, like many plants that self seed, the new plants are not likely to look like the original parent plant. Can pansies be grown indoors? It is possible to grow pansies indoors, if you have enough light for them. But since pansies like the cool weather to perform best, the plant is not likely to be long lived, since most homes are warm and dry. If you have a cool sun room, pansies will do well indoors. If you enjoy starting seeds in peat pellets, it’s a great idea to start them indoors. Start the seeds indoors about 6-8 weeks before the time when you plant to transplant them in the garden. Slugs and snails like to munch on the flower petals of pansies. Surround them with crushed egg shells or use baits around them if this is a problem. Aphids will sometimes attack pansies, but they can be treated with an insecticidal soap. Pansy Wilt affects pansies and violas. Symptoms are wilted plants and rotten crowns. The danger time is during the growing season. 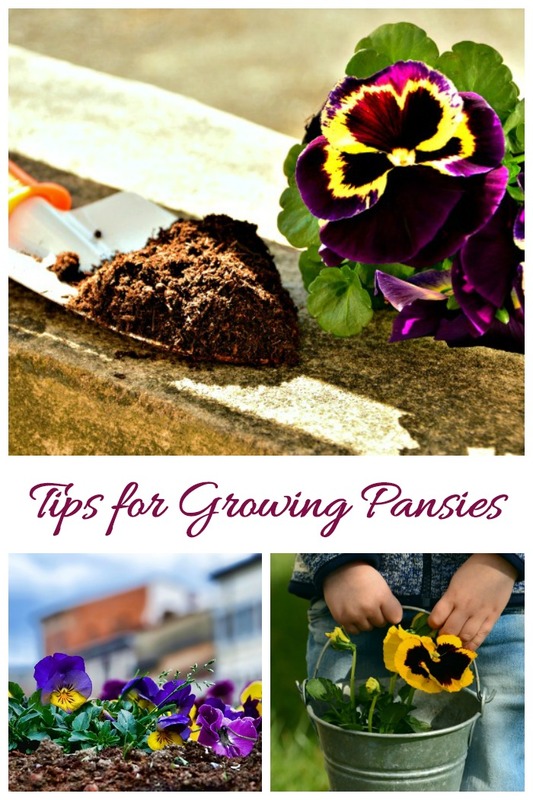 Would you like a reminder of this post for growing pansies? Just pin this image to one of your flower boards on Pinterest. Pansies are a cool weather plant that is normally grown as an annual. In some zones they are biennials or tender perennials. Print out this care card to keep the growing tips handy. Some warmer zones it can be a biennial or tender perennial. Warmer zones should use partial shade. Pansies do not like the heat. Add compost at planting time. Pansies can be planted in late fall or early spring. Start seeds indoors 6-8 weeks before transplanting outside. Winter plants will get sufficient water from rainfall. Spring plants may need additional water. Fertilize lightly with well balanced all purpose granular fertilizer. Deadhead often to encourage new blooms. Zones 9-11, pansies will flower in the winter. Lots of color varieties. Flowers have "faces." Pansies will self seed but new plants will not be like parent plant. Aphids are sometimes a problem. Treat with insecticidal soap or a water spray. 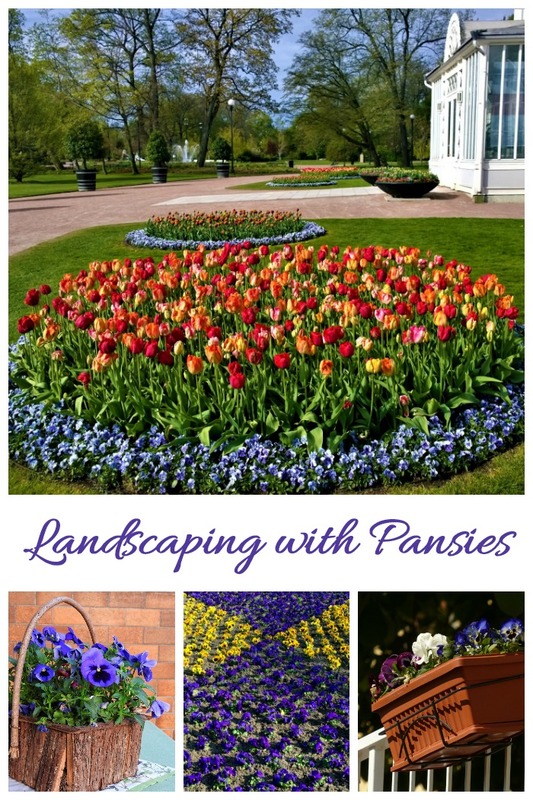 Hello Carol – I love all your tips for growing pansies. Here in my Minnesota (zone 4b) gardens, we plant pansies as annuals in the early spring, sometimes even before the daffodils come up. Happy spring and happy gardening! Happy spring to you, too Joanna. Thank you for this information Alice. I will add a note to the post.